Congratulations to Liz Tobin for her winning entry in the annual art exhibit, contest, and show for the 2018 season at the Eric Sloane Museum. The Friends of the Eric Sloane Museum sponsored the event again this year, and we are always happy to do so and so incredibly grateful to our participating artists as well as for their family and friends, and for the hundreds of visitors who come specifically to see the imagination and skill of the artists. The theme for this year was “Noah Blake and His Wonderful Cabin” and we encouraged our artists to explore the cabin and it’s relation to Eric Sloane and the museum. 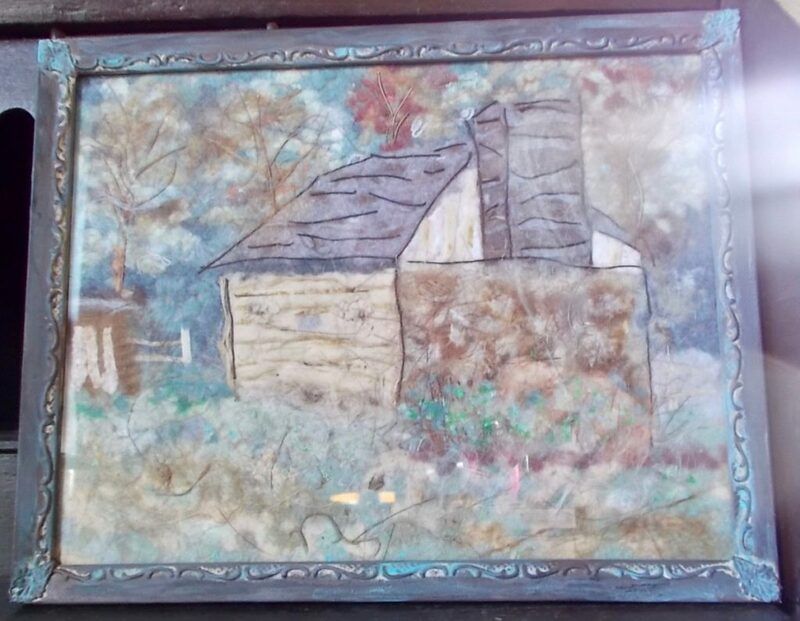 Liz won a $100 gift certificate for best non professional artist for her rendering of the Noah Blake Cabin in dryer lint!